Angels have a definite affinity with Chakra Healing & you can enlist their help to balance, explore and heal your chakras. Your life energy relies on specific centers of your body and being to maintain and regulate your flow of energy. Your chakras are energy centers found in your etheric body that distributes life force energy throughout your physical as well as your subtle bodies. These psychic centers are ever evolving just as you are. When your chakras are blocked, imbalanced, or out of alignment the free energy flow is obstructed which can lead to physical, emotional, mental or spiritual dis-ease. The keystone of Angel heal with chakra healing is to develop an awareness of these powerful energy centers. Chakra Healing is a way to clear the blockages that may have occurred in your chakras, balance and re-align them to bring your body and life back into flow and vibrant health. 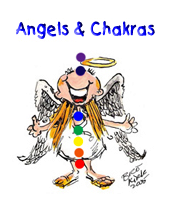 Chakra Healing can be done through a number of different practises including working with the angels. and for individuals wanting to deepen their spiritual practice. 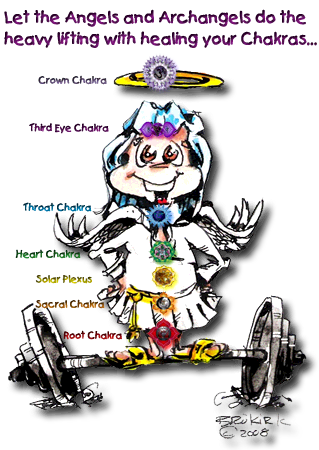 I have created a set of "Angel Altar Cards" that work extremely well with the following chakra healing exercise that has helped many and is one that I use regularly. Make sure that you will not be disturbed, choose an essential oil that resonates with you and your angels, put one drop into the center of the palm of one hand and then rub you hands together to distribute the oil evenly. You can also choose either one specific angel crystal or you can use the crystals associated with the 7 chakras. Allow your intuition to be your guide. Make yourself comfortable either adopting a seated position or you may feel more comfortable lying down. Angels have a definite affinity with chakra healing. You can enlist their help to balance, explore and heal your chakras. Now focus on your root chakra and visualize roots extending deep down into the earth from this chakra, making sure you are firmly anchored. Move your focus to you breathing... inhale and exhale slowly and deeply. Breathe in the healing light of the angels and as you exhale, feel all your tensions releasing through your "roots" into the earth. Become aware of your Root Chakra and visualize it glowing with a translucent ruby-red light. Place your hands gently on this chakra and invite Archangel Sandalphon or the angels of the earth to gently cleanse and balance this chakra. Feel the angelic presence and ask that they help you feel safe, secure and fully grounded in the physical world. Thank the angels for their blessings and healing. Gently place your hands on your Sacral Chakra, just below your navel and become aware of a translucent orange light glowing in your abdomen. Call on Archangel Chamuel (who helps heal relationships) and ask that all your relationships be healed in harmony and unconditional love. Should you have been sexually abused it is likely that this chakra will be heavy, closed or "murky", call on Archangel Gabriel to awaken the purification process and ask that this center be healed and cleansed so that you will be able to embrace your sexuality fully. If you wish to conceive call on the angels of birth and ask that you be blessed with a child. Thank your angels for their blessings and healing. Bring your focus to your Solar Plexus and gently place your hands on this center about 3 finger widths above your navel. Visualize it radiating energy like the warm, golden sun. Call on Archangel Uriel and the angels of peace if you feel full of tension and stress and ask them to release you from your inner turmoils and fears filling your solar plexus with peace and tranquility. If you need protection whether from physical, sexual or psychic attack call on Archangel Michael, the mighty protector and ask that he restores your confidence and self-esteem, giving you courage and strength to face all obstacles you may encounter and make changes. Thank your angels for their blessings and healing. Gently move your hand to your Heart Chakra, in the middle of your chest and visualize a beautiful pink flower unfolding in the midst of translucent glowing green light. Invoke Archangel Chamuel asking that all negative emotions be cleansed and cleared and that your heart be filled with the joy of pure unconditional love. Call on Archangel Raphael and allow him into your heart to heal your deepest wounds. Thank the Archangels for their blessings and healing. Bring your attention to your Throat Chakra by gently placing your fingertips around your throat and see a glowing blue light shining within. Imagine your throat opening up enabling you to speak your truth and to be who you really are. Call on Archangel Michael, the angel of truth to instil in you the strength and courage to face, express and live your truth. Thank Archangel Michael for his blessings and his healing. Lightly place your fingertips on your Third Eye Chakra in the middle of your forehead and feel this area opening up with the pure translucent indigo light awakening your intuition. Call on Archangel Gabriel to give you guidance of your reason for being, your true calling. Ask the angel of illumination, Archangel Jophiel, to grant you enlightenment and bring you insight and clarity of mind. Thank the Archangels for their blessings and healing. Lastly place your fingertips lightly on your Crown Chakra on top of your head and link to your higher self through the golden white light that radiates from this center. Merge with Archangel Zadkiel and his high frequency violet light and ask for the acceleration of your spiritual development. Thank Archangel Zadkiel for his blessing. Deeply breathe in the unconditional love and healing light energy of the angels and archangels, feel their love and healing filling your entire being with joy and compassion. Bring your focus to your body where you are making contact with the earth, slowly retract your roots and thank the earth for her blessings, slowly move your fingers and toes, become aware of your surroundings and gently open your eyes. The Chakras and knowledge of them are a vital part of energy healing; a part you cannot afford to be without, for a deeper understanding of energy healing and the Chakras the following is a HAVE to HAVE! This comprehensive self improvement training course will give you a full understanding and background of this part of the human energy body. 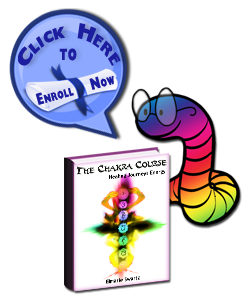 See yourself mastering the intricacies of the Chakras, the details of the SEVEN MAJOR CHAKRAS, is an absolute MUST HAVE for anybody - whether you are a beginner or are experienced in the healing arts, you feel depleted or just need a bit more energy on your unique healing path of self discovery. You will also receive full certification on completion of this course from Healing Journeys Energy. Blessed are you for you are deeply loved! As you have seen invoking the powers of the Archangels is a magnificent way to heal, this is a skill I have been practicing and teaching for many years, please check out my course Way of the Archangels.